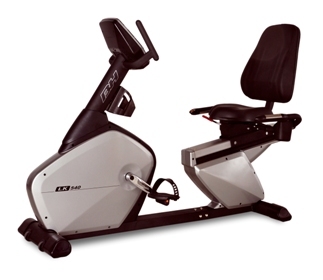 BH Fitness LK540 Recumbent Exercise Bike will set a new standard for light commercially rated equipment. It has some attractive features like- Polar Heart Rate strap compatible,Large Foot Pedals with Sure Grip for secure use,Fingertip controls for convenient workout adjustments etc. The LK540 incorporates innovative features from its award winning RS Series models, packed into a commercial grade design. With commercial quality, self-generating technology, the LK540 is perfect in any environment. For home or residential its frame and generator is of lifetime warranty. *Note: Most of the sites, stores or shopping portals listed above sell BH Fitness LK540 Recumbent Exercise Bike with discounts and other exciting offers. There is a possibility that the some of above websites are not selling BH Fitness LK540 Recumbent Exercise Bike now. Toughtrain.com is not liable for such cases or instances. Also we do not recommend any seller for BH Fitness LK540 Recumbent Exercise Bike and a buyer should buy from where he/she gets best deal with quality of products, service and on time delivery (shipment).